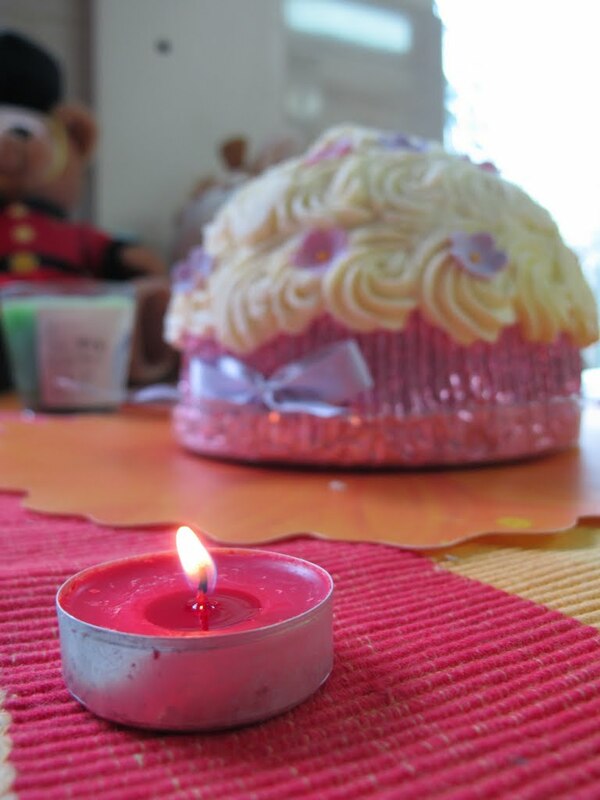 It was a very quiet birthday. I couldn’t plan anything as it was a new city/country. K80 and I are at my aunt’s house in Birmingham. V left to Paris this morning giving his little girl a birthday kiss. The weather was a beautiful with a mix of sunshine and clouds (minus the rain), which was wonderful. 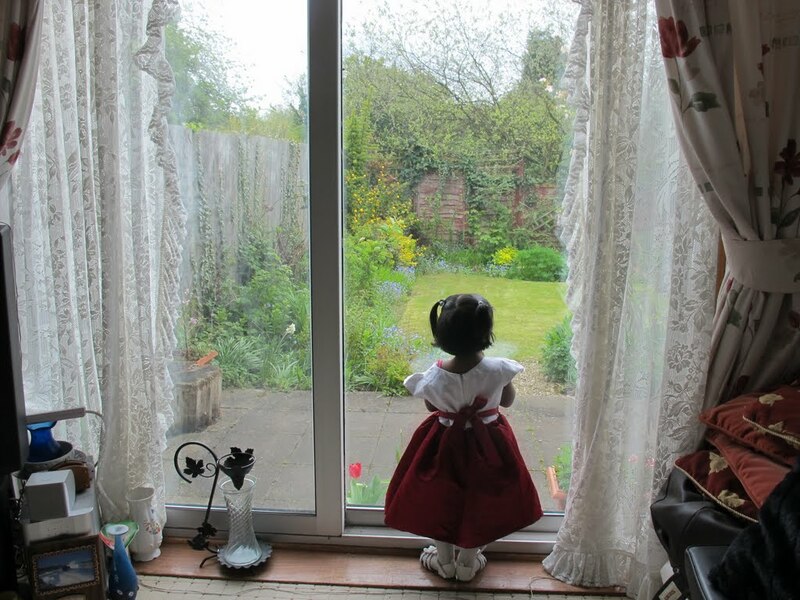 I dressed up my little girl in her Birthday dress, combed her hair and spent an whole hour just clicking pictures of her in my aunt’s house and garden. The rest of the day was uneventful until my aunt and uncle returned home with a pretty cake and a birthday gift! K80’s face just beamed with excitement the minute she saw the cake and she couldn’t wait for the birthday song to end to have her share of the cake! Thanks to my aunt and uncle for getting us into the celebration mood! Although it was a sober birthday, K80 had her share of birthday fun two days prior to her birthday. 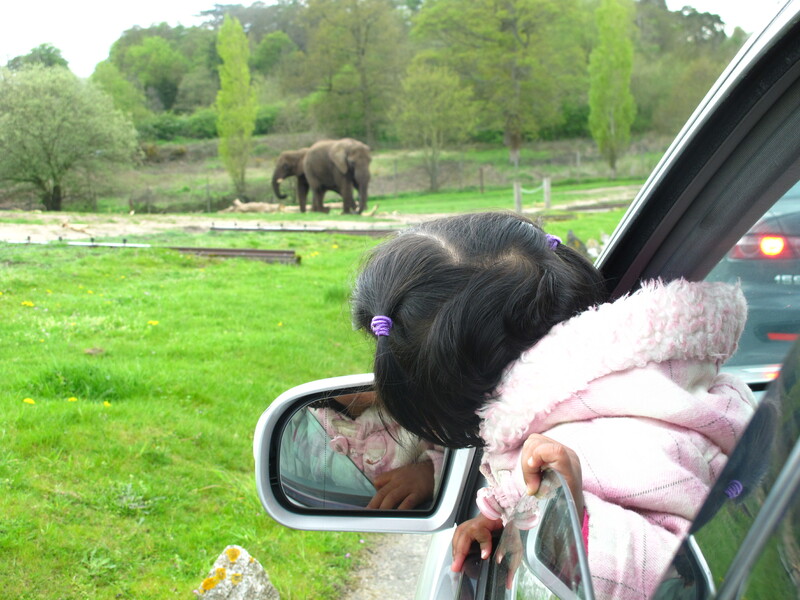 V and I planned a trip to the West Midlands Safari Park. We had a fab time being swarmed by zebras, deers and lions! That was our gift to the Birthday girl!